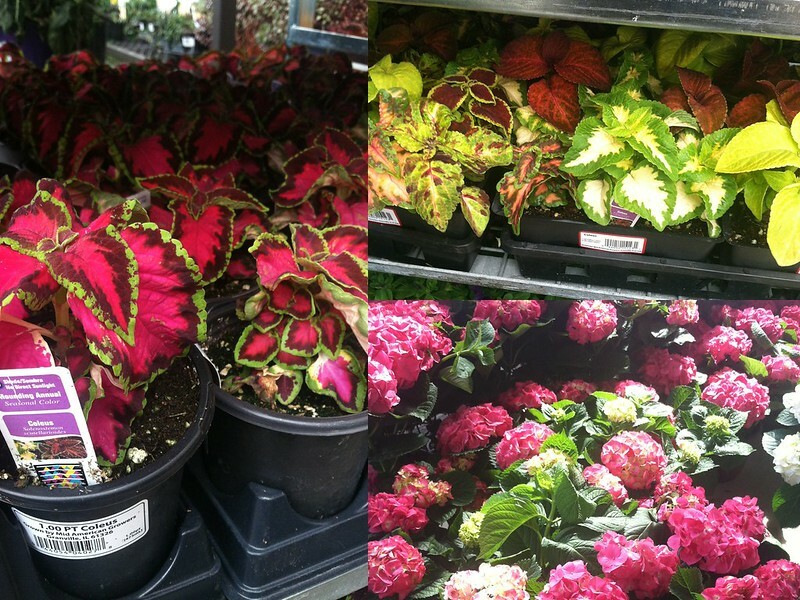 This past weekend I went perusing the flower center at our Lowe's & our Meijer. Realizing that I have no clue what I'm doing I took some of Van's advice on this post & have been planning out exactly what I want to do - tackling a job at a time. At first I thought I'd have to get a lot of shade only plants since I thought our front yard stayed mostly in the shade but I carefully eyeballed the sun as it passed over our house this past weekend. Seems like depending on the hours of sun in the front yard I maybe opened up to more possibilities! 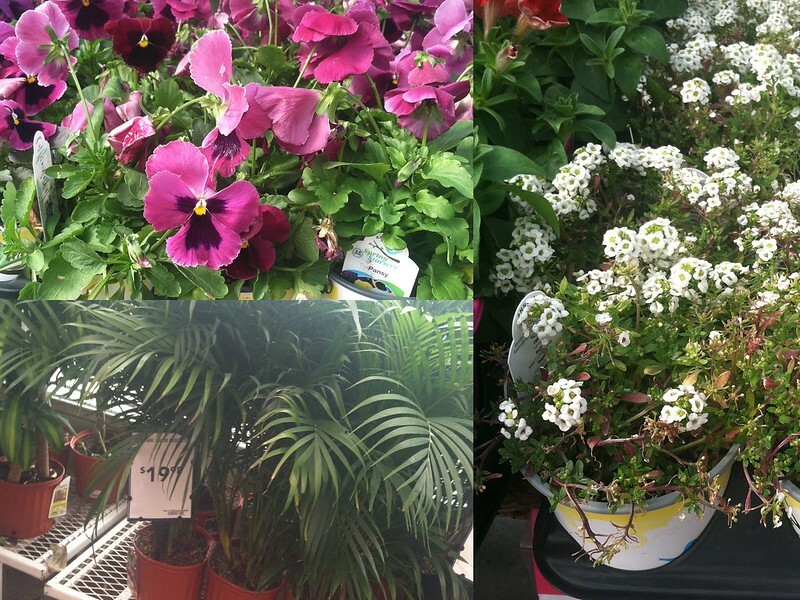 I think we're in the range of sun to shade flowers - Meijer's flower tags were much more helpful to me. They said that full sun is 6 hours of sun a day, sun to shade is 2-4 hours, & shade is, well, shade. Am I on the right track here? This weekend Zach thankfully helped me pick up some of the leaves we could not stay on top of this past fall. I am not a yard work person. Really. I was done as soon as we started. But we did get all the leaves away from the back of the house & filled up more than a few bags. Seriously, I wish I was a millionaire so someone could do this for me!!! I am not a yard work person. But now that is almost all done....maybe I can be a gardening person? I don't know how people have such lovely houses! I have other things to do, you know like blog, crochet, & make things!! But I really want to give this a good try. I don't want to do anything too fancy...but I just want to do something nice. I plan on planting flowers in the front of the house in the little marked off area of the rocks in our raised little bed. Right now there are a few bushes of unknown origin growing and we have a marked off little area that houses some mulch & two small deer statues. So that area will have some sort of foliage :) Then there is our walkway to the house and next to that is another mulch-y area which may have some plants ooooor I might just fill it with rocks too. I want to find out what those bushes already in the front are so if I do put rocks I can plant one there too. There also is a smaller little bed of rocks in front of the big bed...so that might have some plants in it too! On the patio - behind these flower beds - I want to put some hanging pots between the suport beam things. (Can you tell I'm not a professional at all? no? good.) I also want to get a small table & two chairs. Maybe when I am a millionaire, I'll get a swing. On the deck off the kitchen (which is getting cleaned off this week! I promise to work on it a bit each night after work!) will go a bigger table for yummy meals outside. I found a great one at Meijer that I hope is still there at the end of this week! I also want to put a few planter boxes off the side of the deck. I'm not sure how many though but it will be pretty...maybe also some hanging planters! I may go overboard with the things I don't have to actually plant! Like the already potted ones...I can feel successful without having to do anything! 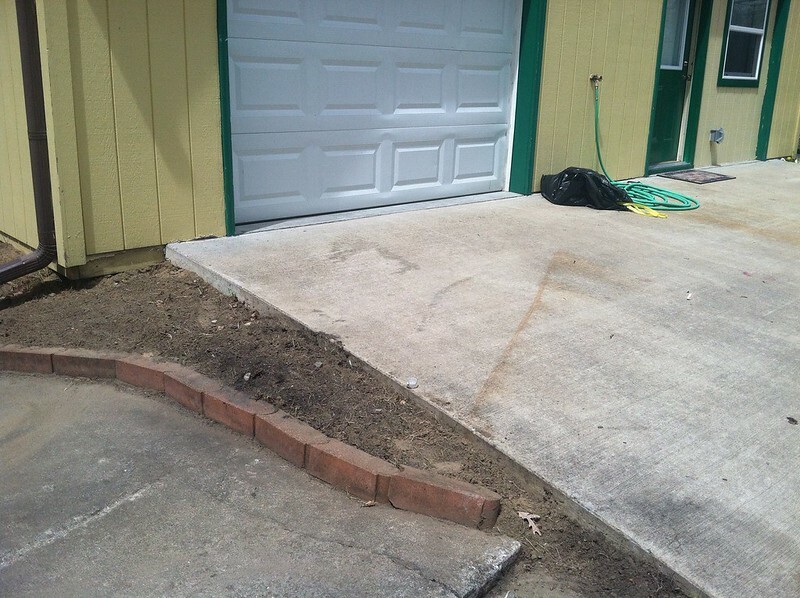 Then there is a little side garden part to by our garage door which I'm going to fill with something. And finally, I'd like to have a little planter box on the ground under our window off the living room. Can you tell I love the idea of flowers? I Just don't really know what I'm doing!! Hopefully I'll get there. I also have an idea for potted shade flowers at the end of our driveway. Too much? Yeah, probably. I'm just going to take it a step at a time & we'll see how it goes. But my goal through May is to make a list each week/weekend of things to do & just mark it off! I hope I can get some things done & get this house looking like some really rad flower loving people live here. No one wants to sit outside with a bunch of nothing to look at! How do you break up your yard work? Or are you a yard warrior & just attack it all in one weekend? If you are, come to my house & help a girl out!